Working With You To Improve The quality of Your Life! The Mission of Quality Living Center is to provide the highest quality alcohol/drug treatment, intervention and prevention services by providing treatment programming and other professional services in a chemical free environment. Vision Quality Living Centers’s vision is that all persons affected by the impact of substance related disorders receive appropriate and effective services to improve the quality of their life. Quality Living Center’s Philosophy is that a safe, secure and structured chemical free environment promotes sobriety and positive life change. Quality Living Center’s treatment program is based on the knowledge that alcoholism and drug addiction are primary diseases of a bio-psychosocial nature with a spiritual component. 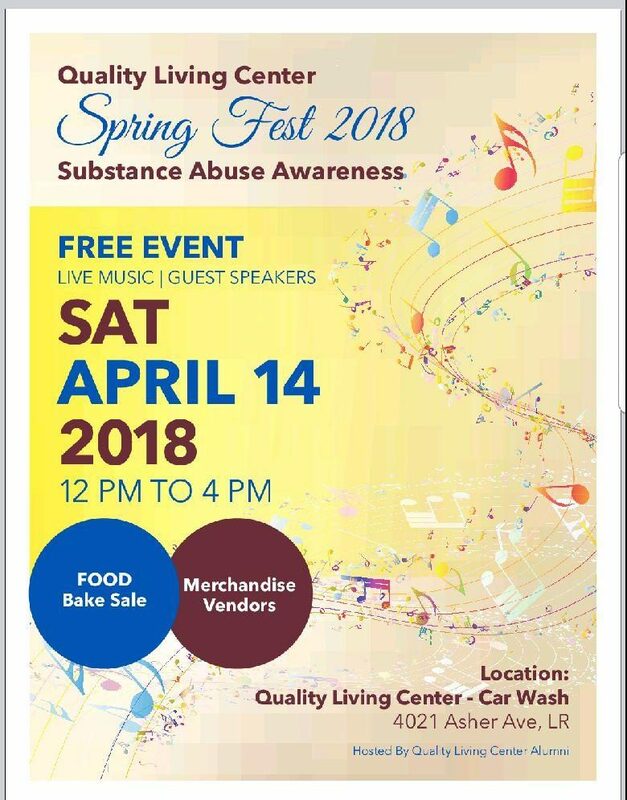 Quality Living Center’s program offer group , individual and family counseling, workshops, group discussions as well as education classes to teach addiction awareness, recovery life skills and living “clean and sober” strategies in a professional atmosphere of dignity and respect. Quality Living Center provides residential treatment services for adult women and men. Residential treatment is a 30 or 45 day structured comprehensive process for individuals that require an intensive level of care. Quality Living Center’s Residential Treatment services includes a screening , assessment, individualized treatment planning and referrals. Quality Living Center is a treatment provider for outpatient services in Pulaski County and surrounding areas. The outpatient program and partial day treatment is available for individuals that require a minimum level of care. Outpatient treatment last from 13 to 16 weeks. Quality Living Center’s outpatient services includes a screening, assessment and weekly individual and group counseling. Quality Living Center provides transitional living services for adults a seeking an opportunity to improve healthy personal inter-actions, gain independent living skills, develop a sense of responsibility and to transition into mainstream of life excluding the use of drugs and alcohol. In August 2002, Director Dino Davis and Assistant Director Curtis Keith took the first step toward making their vision of helping others suffering from addictions a reality by opening a small facility on Cedar street in Little Rock. The need quickly dictated that the vision be expanded to provide Quality Living Center for the opportunities for growth and expansion in a professional setting. Therefore, Quality Living Center received a 501(c)3 designation in April 2003 to enhance opportunities for tax -deductible donations. Located in the heart of Little Rock, Quality Living Center is a multi-unit facility with accommodations for 20 women and 75 me. In May 2006 Quality Living Center purchased ad began renovation the main building at 3925 Asher Avenue. The main building houses the administrative office of Quality Living Center and up to 75 male clients. The original facility at 2900 South Cedar now is home for the female clients with a capacity of 20. Subsequent purchases include a 5-unit complex at 5210 Mabelvale Pike in August 2008 and an auto detail shop at 4021 Asher Avenue in May 2009. Quality Living Center became a licensed transitional living facility through the Arkansas Department of Community Corrections in September 2007. Also Effective September 2011 Quality Living Center Bbecame a licensed drug and alcohol treatment facility by the Arkansas department of Human Services Division of Behavioral Health Services. Quality Living center hosts a free, family-friendly, fun filled festival at the QLC Detail Shop. The event features local speakers, live music and local food venders. This Event is held in April of each year. The purpose of the Salute to Recovery Banquet is to acknowledge those who are dedicated to the treatment field. We take time out to celebrate the individuals who help those struggling with addiction. This picnic is a community outreach event. We inform and unify the community about the devastation caused by addiction. This event is held in September of Each year.